Let's Talk About Poop - Where does it go? | Renergy, Inc.
Where Does Poop Go After You Flush it down? Poop goes down the sewer pipes and to a wastewater treatment facility, but then what? This is a dirty topic – we know – but it needs to be more openly discussed, because all of that waste doesn’t just disappear after treatment. There are nearly 7.6 billion people in the world and the average person goes number two at least once a day. That’s a lot of waste to process! And, believe it or not, as recently as the early 1970s, thousands of American cities discharged their raw sewage directly into the nation’s rivers, lakes, and bays. Waste cannot be an ‘out of site, out of mind’ issue anymore. It is important that we become familiar with what happens to the waste we produce, examine the solutions that are currently available, and determine which one is best for our environment. There are typically three stages of sewage treatment, called primary, secondary and tertiary treatment, as well as a pre-treatment process done before arrival at a treatment facility. The pretreatment removes all trash and debris from the sewage water through a bar screen. Here common items such as rags, sanitary napkins or sticks are collected and sent to a landfill. The water then passes through a grit chamber to collect sand, dirt and other inorganic solids. Primary treatment is anaerobic, or without oxygen, and works to separate the solids from the sewage. The wastewater slowly moves from the grit chamber to a clarification tank where it is undisturbed for a few hours, allowing the solids to sink to the bottom of the tank and the grease and oils to float to the top for removal. The tanks are equipped with mechanically driven scrapers to collect the sludge at the bottom, which are pumped to further sludge digestion treatments. The secondary treatment occurs in aeration tanks. Oxygen is pumped into the water to encourage active bacteria, called activated sludge, to breakdown incoming waste solids and dissolved organic matter that escaped the scrapping process. The water then flows into clarifying tanks where the activated sludge settles out and is either returned to the aeration tank to keep the activated sludge process moving, or goes to the digester tanks for processing. The secondary process removes 80-90% of human waste from the water as well as a significant amount of toxic chemicals. The third stage is called the tertiary treatment. This includes the addition of chemicals to remove phosphorous and help separate any remaining sludge. Chlorine is added to kill any harmful bacteria, and then the water is moved through filters and discharged back to the environment into local waterways. This is all pretty crazy, right? Wastewater treatment technology has advanced so much in the past couple decades that the treated wastewater discharged back into the environment is cleaner than the water naturally present. So, what happens to the sludge that is accumulated from the wastewater treatment process? There’s a lot that can happen to sludge, even before it gets treatment, and that depends on where you live. 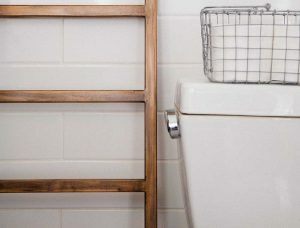 According to Molly Winter’s TEDTalk “The taboo secret to better health”, nearly 40% of municipalities self-report dumping raw sewage or partially treated sewage into their waterways. That is, toxic or barely treated materials are intentionally dumped into water sources where aquatic life is present, where people swim or bathe, or where irrigation water is sourced. The technology to treat this material is here, so why aren’t we using it nationwide? The purpose of treating sludge is to reduce the amount of organic matter and lower the number of pathogens present in the solids, making it acceptable for reuse or disposal. The most common sludge treatments include anaerobic digestion, aerobic digestion and composting. After sludge treatment, the now-called biosolids are ready for disposal in a landfill, incineration and disposal of the ash in a landfill, or beneficial reuse as a land applied fertilizer. According to the EPA, nearly 50% of all biosolids in the US are being beneficially reused for land application, the other half mostly landfilled. Both incineration and landfilling nutrient-rich materials allow methane gas to be emitted into our atmosphere. The disadvantages of these disposal methods are huge and inherently imply environmental degradation. With the amount of emissions that are produced by organic waste in a landfill, it is imperative that we begin to desensitize this stink about human waste and sustainably incorporate it back into the Earth’s nutrient cycle. Click here to learn more about Biosolids. At Renergy, Inc., we beneficially reuse treated wastewater solids. We process pre-treated biosolids, food waste and animal manure in an anaerobic digester, where it is further broken down and repurposed into soil nutrients. There is a lot of scrutiny that comes with beneficially reusing the nutrients derived from human waste into fertilizer. The most common misconception is that human waste is being directly applied to fields. However, the waste has been treated at a wastewater treatment plant, and then treated again in our digesters before being applied to farm grounds. The potential for pharmaceuticals and pathogens to seep into ground water sources and contaminate drinking water is also a common public concern. 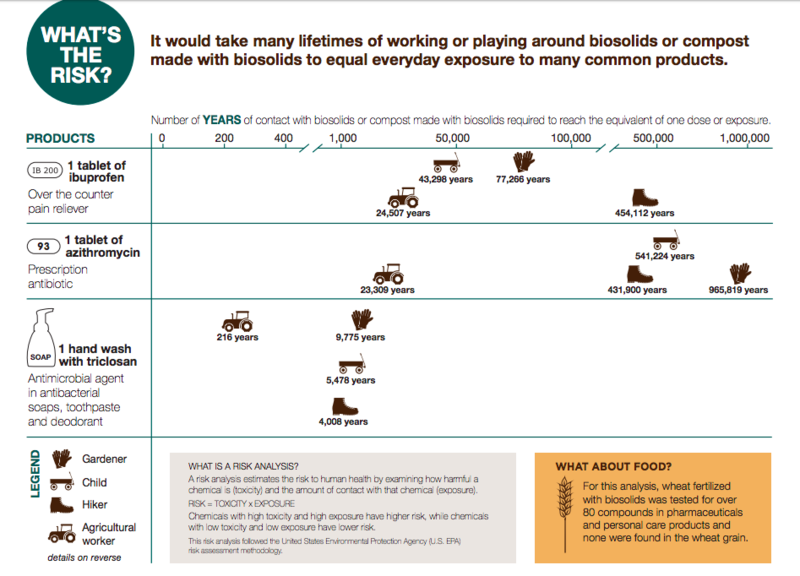 Based on a risk assessment done by NorthWest biosolids, it would take 24,507 years of working with biosolids for an agricultural worker to be exposed to one dose of ibuprofen. Additionally, after proper treatment from a wastewater treatment plant and further processing from our biodigesters, the biosolids in our fertilizer contain far less pathogens than unprocessed animal manure. Click here for full report. Often overlooked are the immense benefits of returning biosolids to the ground. Biosolids are packed with organic matter, improving soil structure and increasing nutrient utilization and water retention. Our fertilizer contains essential plant nutrients, such as nitrogen and phosphorous, along with important trace metals, that are slowly broken down and released into the soil. Naturally derived fertilizers are much healthier for soils in comparison to synthetic fertilizers, which can deplete soils of essential nutrients and cause infertility overtime. Biosolids are an untapped energy and nutrient source that will continue to grow as our communities grow. By utilizing science-backed technology, we are able to recycle this waste stream into a resource that contributes to sustainable farming and a sustainable future. At Renergy, we constantly seek ways to reduce our footprint, and will continue our research to further breakdown and improve our fertilizer product. Want to learn more? Give us a Shout! © 2018 Renergy, Inc.. All Rights Reserved.